You’ve heard it a million times. You are what you eat. I am now in my fifties, and am now highly convinced this sentence is very true. I don’t have any professional medical training at all. Everything in this article, is based solely on personal experience. Although various foods effect people differently, but for almost all of us, consumption of certain things effects us the same. And it saddens me that most of our lives, we’ve been programmed to eat terrible, very unhealthy foods. The money-hungry sharks in the cruel meat and dairy industries have regulated our eating habits since childhood. This is what we’ve been taught, and learned to follow them blindly. Every other commercial you see, is selling meat, dairy and sugar-loaded, addictive candies. Then, after we indulge in eating dead carcasses, milk meant for babies of cows, and over-loading on desserts/candy, we become ill. There are tons and tons of preservatives, cancer-causing additives, fillers, GMOs, cholesterol, dyes, etc. The list never ends. I will use hot dogs as an example. Millions and millions of hot dogs are consumed annually. Not naming any brands here, but the labels are pretty much identical in nature. 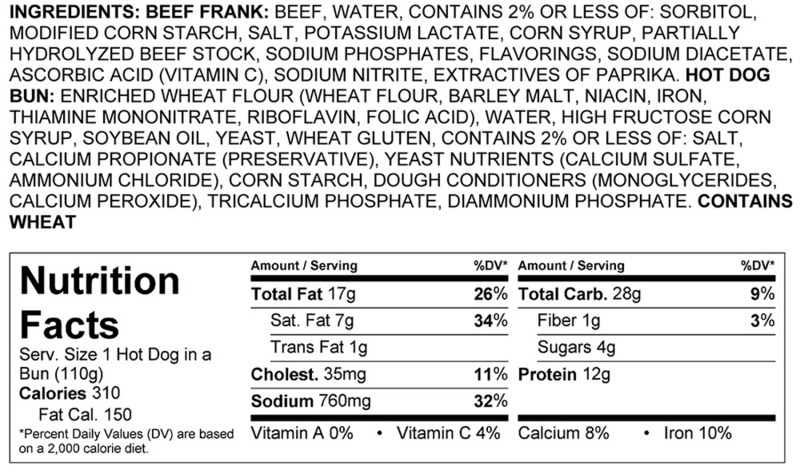 There are no less than 14 ingredients in one dog, and only about 2 of those are actually good for you. Just think about it. How many hot dogs have you eaten over your lifetime? How many thousands of hot dog commercials have you seen? I never ever used to read labels, but now I do on a consistent basis. In my estimation, approximately 90% of processed, packaged foods, are literally killing us. If you read labels, all these unhealthy foods have extensive, harmful ingredients in them. It’s not your fault. We’ve been programmed on a daily basis for years to eat unhealthy, violating crap into our systems. All through rich, marketing companies that know how to lie to us, and get us to buy their dangerous, noxious products. As, I mentioned before, then we get sick. We get cancer, or an auto-immune disease, or a host of other illnesses. Then it’s time to spend an exorbitant amount of money going to see different doctors. Often times, even doctors are unaware because they were taught by the unknowingly uninformed. They are only there to diagnose your current issue, and prescribe medications. Many times, these scripts are so expensive, the regular citizen can’t afford them. Until 5 years ago, I was told to eat “everything brown.” Only brown rice, only brown pasta, only brown breads.” And only eat lean cuts of meat. This was supposed to be a universal fix for everyone. As healthy as I wanted to be, I was actually doing the exact opposite. My body was being ravaged alive. Along with getting Hashimoto’s Thyroitis, and a list of other terrible ailments, I also was diagnosed with proctitis. The specialist said I had gluten-intolerance, and should stay away from ANY gluten-containing products on the market. She said “I needed to have a colonoscopy AND endoscopy, immediately. Suppositories were prescribed at a whopping $255.00, which I could not afford. After many years, I know now, you need to be your own advocate. Deterring the outpatient procedures, and expenses, I just started eating differently. Immediately, I stopped consuming processed sugars, whole grains, and nuts. I began to research anti-inflammatory foods to eat. These are the foods I discovered were highly anti-inflammatory. The list of anti-inflammatory foods to eat goes on and on, and I was never aware of it. I began eating these foods on a consistent and regular basis, and guess what? Within one week after I started eating these foods, my horrible pain and symptoms of proctitis began to disappear. Two weeks of eating these foods, and any discomfort I had for almost three months straight was virtually nil. I know I linked this video before to watch, but it’s so profound, I’d like to link it again. It’s by Dr. Terry Wahls, and you can view it here. So, the saga continues for most of us. The meat, dairy, and sugar industries program us to buy and eat their junk. Then we get sick. We are prescribed mega-costly and sometimes unavailable prescriptions. We are constantly in and out of the emergency rooms, and hospitals. It all became simple to me. Eat highly nutritious whole foods regularly, and watch your body and mind transform. Or, the nightmare cycle will continue on and on and on. What you eat, is what you are, and how you feel. Take some time to explore what foods are right to eat for your body to feel healthy. It took me forever to figure it out, and it’s an ongoing process. But, as it turns out, foods with 3 ingredients or less on the label, or plain fruits and vegetables is your best bet. I avoided the costs, and somewhat invasive procedures, just by eating the right foods. Therefore, eat what’s good for your bod, and have a great life! See you at my next post. Enjoy! If you’d like to view readers comments on posts, please click on the blog post heading and scroll to the bottom of the article. Enjoy! Why Do We Eat Furry and Feathered Friends? Do You Have Gluten Sensitivity?